The newest Insider Previews of Windows 10 contains a new file UpgradeSubscription.exe. The file’s name might be good to speculate about a coming Windows 365 subscription. Or will Microsoft charge for Windows 10 after the free “upgrade year”? Room for conspiracy theories. The new file UpgradeSubscription.exe may be found in Windows subfolder System32 as you can see in den screenshot below. I obtained the screenshot in Windows 10 Build 14376 (Insider Preview). But on my test machine was still a folder Windows.old from Build 14372 that contains also this file. A double click on the file doesn’t do much – so it’s not clear, what the intention of UpgradeSubscription.exe is. My MVP colleague Ed Bott (guess today we will be ex MVPs, because all Windows Consumer Experience MVPs are history after July 1, 2016) asked Microsoft and got an Answer. The Windows Upgrade to Subscription tool, found in the latest Windows Insider builds, helps to manage certain volume licensing upgrades from Windows 10 Pro Anniversary Update to Windows 10 Enterprise. This binary file is not associated with the free consumer upgrade offering nor is it applicable to consumer Windows editions. 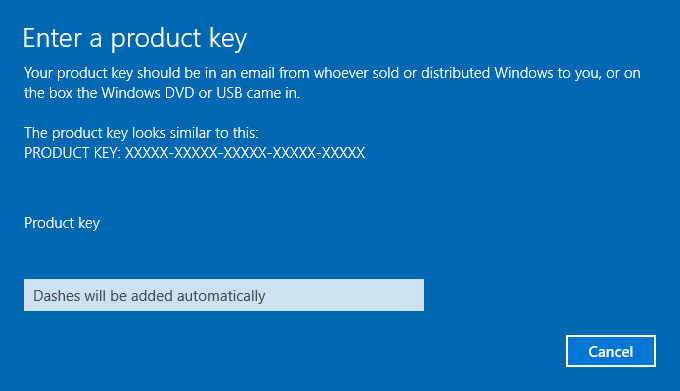 So in brief: The file won’t be found in consumer edition of Windows 10 Version 1607. Purpose of UpgradeSubscription.exe is a better support in Anniversary Update to switch from Windows 10 Pro to Windows 10 Enterprise. Deploying Windows Enterprise edition gets easier: Prior to Windows 10, the upgrade from the Pro to Enterprise edition required a complete wipe and reinstallation of the OS. In Windows 10, we enabled bit-less edition upgrade from Pro to Enterprise. This means all the features are on the device already and the upgrade to Enterprise edition can be performed by changing the product key rather than having to download and deploy a new image. However, doing this required a reboot to complete. We heard a lot of feedback about having to reboot to complete the upgrade so starting with this build a reboot is no longer required when upgrading from the Pro to Enterprise edition. You can try out this out by going to “Settings -> Update & Security -> Activation” in the settings app and click the “Change product key” button and enter a valid Enterprise product key. So we can speculating, that UpgradeSubscription.exe is made for this purpose – but maybe I’m wrong. Ed Bott tried to ask Microsoft for further details, but got a “No further comment” – we will wait and see.